Halachically Speaking 2 in Stores Today!! 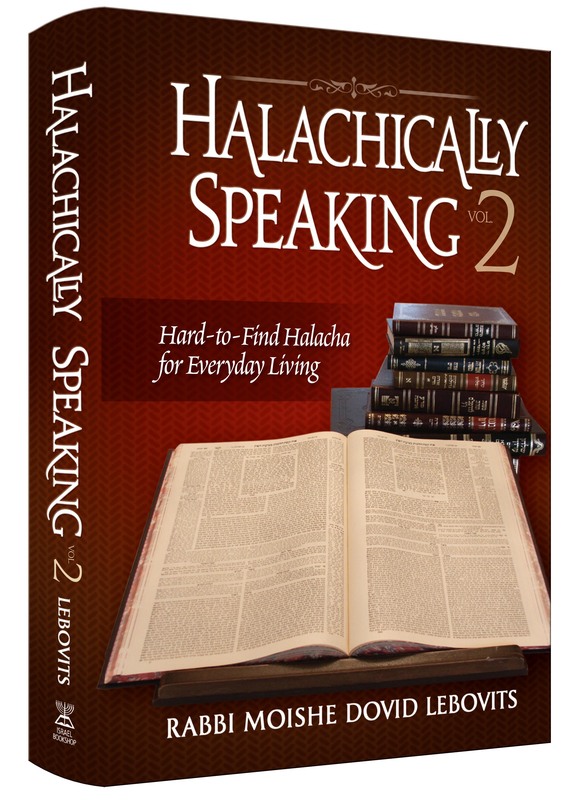 For all you Halachically Speaking fans looking out anxiously for the release of Halachically Speaking 2, you need not look out any longer; it’s finally here! And just in time for Shavuos, too! The second in a groundbreaking series on hard-to-find halachos pertaining to everyday living, you will love the clarity and easy-to-read format of this sefer. See for yourself—pick up your own copy at your local bookstore or online today! This entry was posted on Wednesday, May 12th, 2010 at 12:51 pm and is filed under General. You can follow any responses to this entry through the RSS 2.0 feed. You can leave a response, or trackback from your own site.